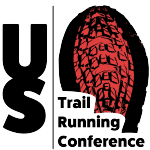 This article was written by trail running professionals Tayte Pollmann and Ashley Brasovan. 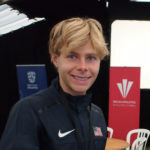 Tayte is sponsored by ATRA corporate member Nike Trail Running and you can follow his adventures on Facebook, Twitter and Instagram. 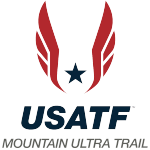 Ashley is an Hoka One One athlete, the 2007 Foot Locker Cross Country Champion, a Duke University graduate, and most recently a mountain, ultra & trail (MUT) running convert with two USATF Championship titles to her credit. Follow Ashley on Instagram. Cross training can be a great way for a healthy runner to maximize fitness without putting any additional stress on the body, or for an injured runner to maintain fitness and even improve aerobic capacity. It can be difficult at times to try an unfamiliar activity, or to stay motivated during a cross training schedule. This article will help to break down a few different forms of cross training for runners, when to use them, and some of the benefits of each. The pool is a great option for anyone with bone stress injuries since pool running offers little impact on the body. This is also a great cross training tool for healthy runners wanting to flush out their muscles after a harder effort while improving the aerobic system. One critical part of pool running is getting your form correct and making sure that your body is mimicking land-running form as closely as possible. To add extra challenge to your aqua jogging workout, try without wearing the flotation belt. This will require you to move your arms and legs faster to keep you afloat. Adding a pair of high-resistance shoes is also another way to make the workout harder and improve leg strength without the impact and pounding of land running. Swimming is a great tool for any runner and can help to build a stronger aerobic system with little impact, or extra strain on the legs. Swimming can be used by nearly any injured runner since it has few similarities in terms of form to running and can also be used by healthy runners to support normal training and flush out the muscles. Again, form is key for swimming and getting the most out of this cross training method. Proper form will allow you to work several muscle groups throughout the body instead of relying solely on your arms for support. Stationary wind trainers, road cycling and mountain biking offer effective low-impact options to strengthen your legs and aerobic system. Runners coming back from injuries can use biking to maintain fitness and combat muscular atrophy on their injured side. For healthy runners looking to maximize fitness, biking is a great way to quicken leg turnover and improve your aerobic system. High cadence tempo bike workouts have a similar leg turnover to running. Try riding at cadences over 100 RPMs or for a moderate workout day, ride at 115 RPMs at an effort you would compare to your running tempo pace. Tayte on the stationary bicycle. Ellipticals are great for low-impact cardio training. The machine works both your upper and lower body and its pedaling motion is similar to running. Elliptical exercise, unlike swimming or biking, is a weight bearing exercise, which helps prevent osteoporosis. The elliptical is a great cross training tool for some muscular injuries and to supplement normal training with lower impact exercise. The Stairmaster is a great training tool that is lower impact than running but beneficial for those training to race on steeper, technical courses with a lot of climbing. 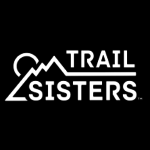 If you don’t have the luxury of being close to trails and mountains, this is a great tool for honing your climbing skills to prepare for a trail or mountain race. Yoga and pilates are a great for runners that need to incorporate a little more stretching or core into their running routine. Pilates can help to build a stronger core, while yoga helps to improve flexibility. Additionally, both are great ways to let the mind unwind and destress from the rest of your life and in turn lowers mental stress. Cross country skiing is a great full-body workout for runners looking to maximize their aerobic capacity in a low-impact way. You can ski for several hours at a time, which helps increase your overall aerobic volume and prepares you for long runs. It is also a great way to spend more time outside. Ashley ripping up the cross country ski trails. Meet up with a friend. Having a friend waiting for you at the gym or pool can help you stick to a schedule. Find some new podcasts. The world of podcasts is expanding every day. Try a few new ones if you’re getting bored in your cross training. Try a class. There is a class for everyone – spinning, yoga, pilates, aqua-jazzercise, circuits – and they can make trying something new a little less daunting. Do some intervals. Intervals while you are cross training can make the time go by faster and keep you motivated to continue your routine. Make a Checklist. Checklists can help you be more accountable for your training or rehab. Checklists can help you organize rehabilitation exercises, core exercises, and your overall training to ensure you do what you need to each day. They are especially important for injured runners who have many daily rehabilitation exercises. Now that you have a better idea of which activities to start with and how to stay motivated, it is time to develop a cross training plan!